Did I mention already that I have heaps of apricots? After yesterday the pile is growing smaller and with today’s recipe even more so. The recipe is from the US website califapricot.com. 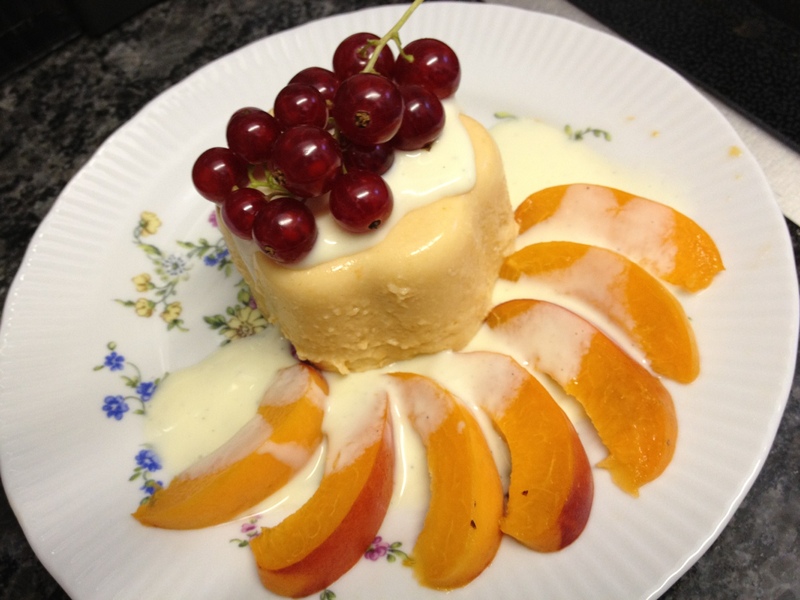 For 2 portions you need 4 large apricots, gelatin (for about 5dl liquids), 50g sugar and 1 plain yoghurt (mine was a 150g pot). 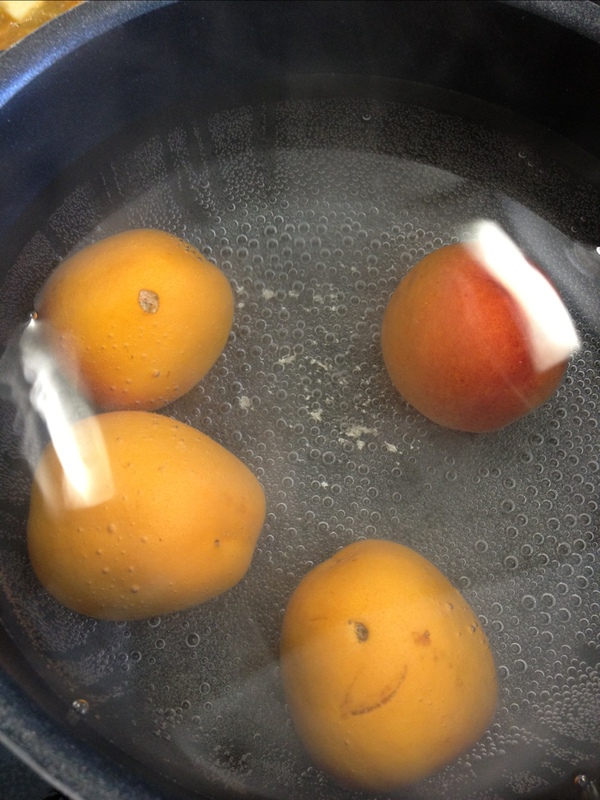 First you have to put the apricots in boiling water to skin them. 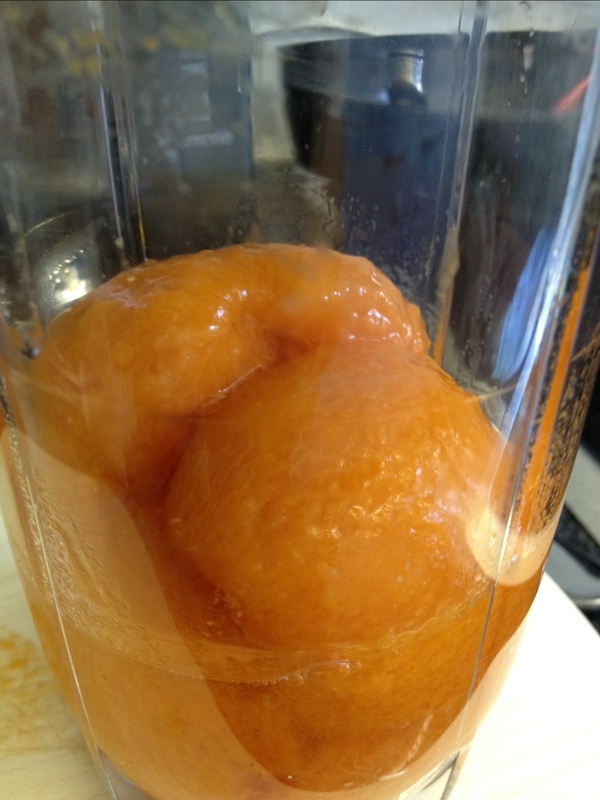 The skin can be removed fairly easily when you put the hot apricots straight into cold water as soon as the skin has cracked. 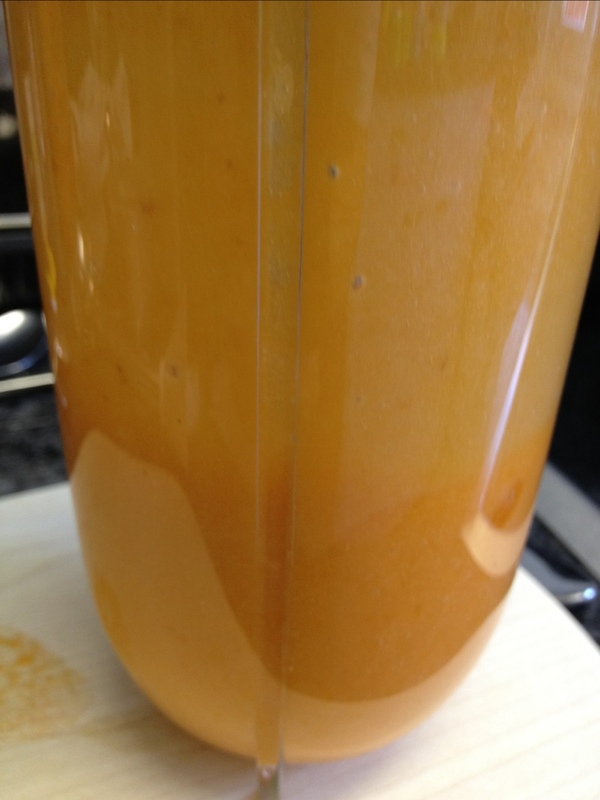 Then you remove the pits and purée the fruit in a blender. 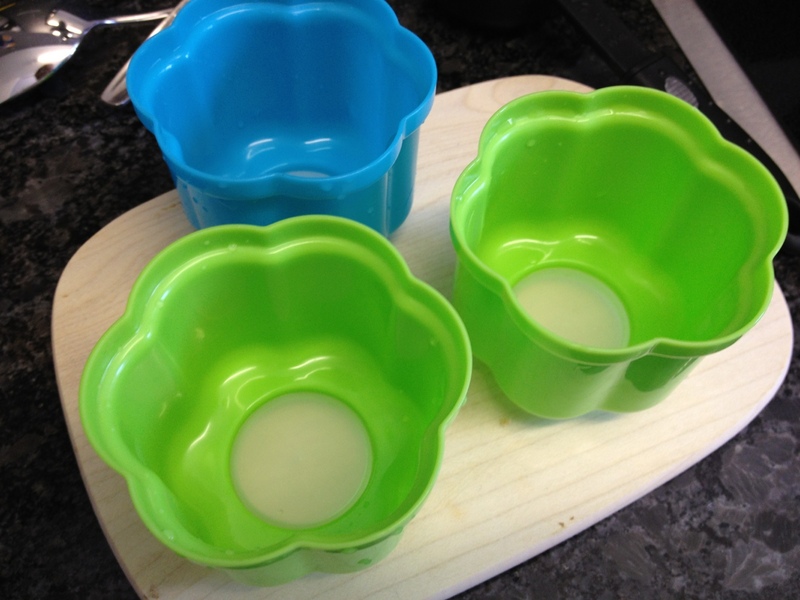 I used gelatin sheets which I put in some cold water. 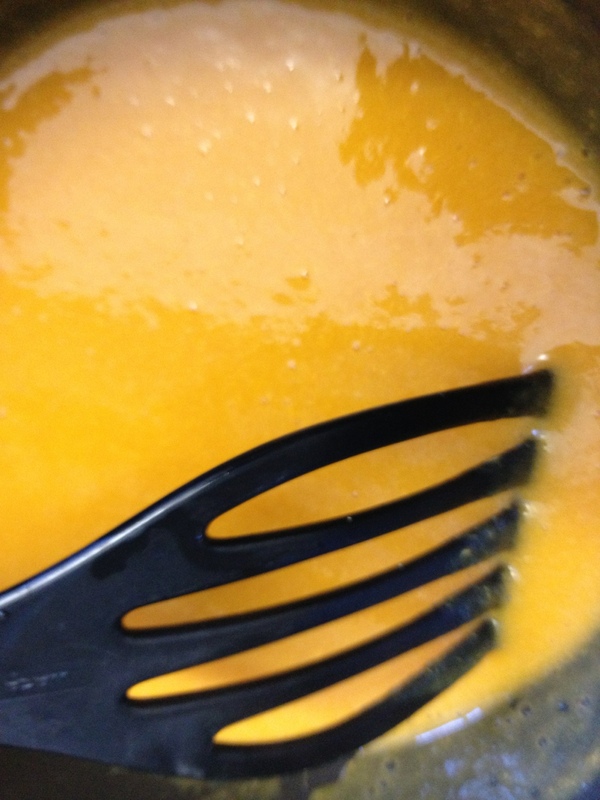 In the meantime I heated the puréed apricots in a pan. 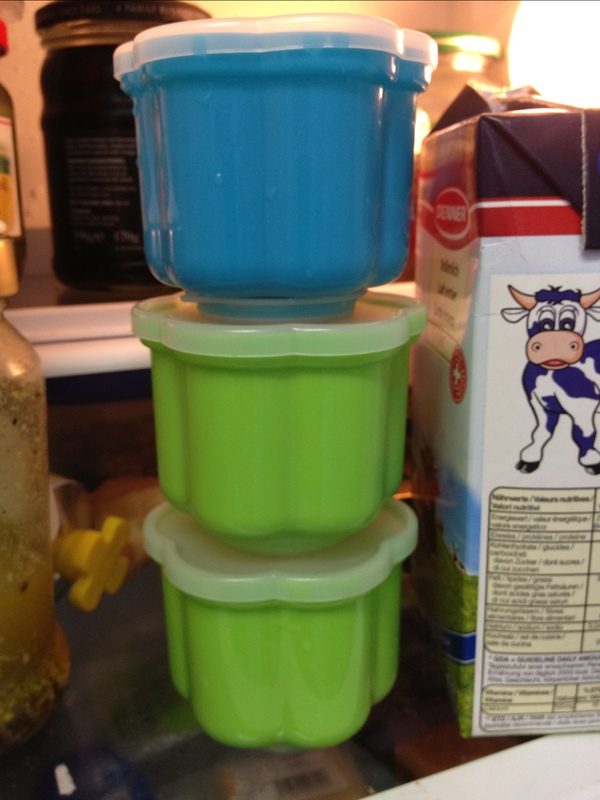 I then added the gelatin and stirred it until the gelatin was completely dissolved. Then I took the pan off the heat and stirred in the sugar. 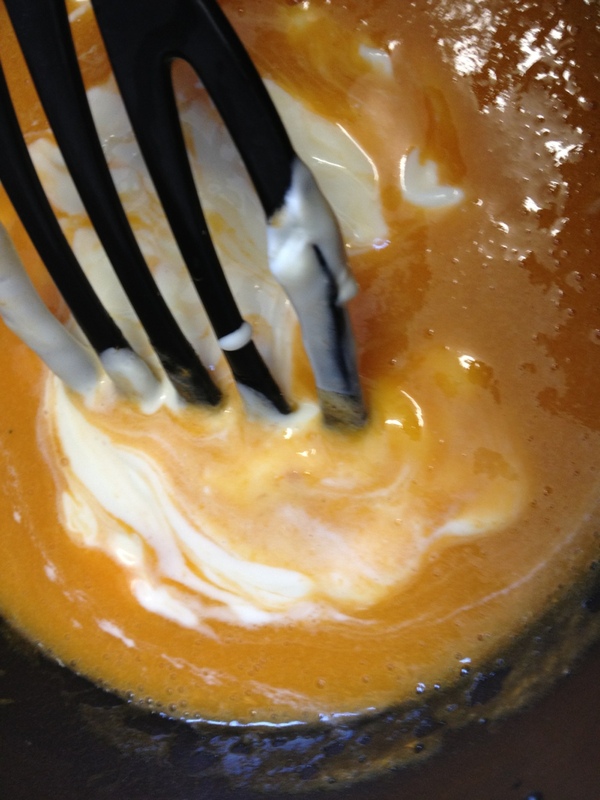 When the mix has cooled down a little add the yoghurt. 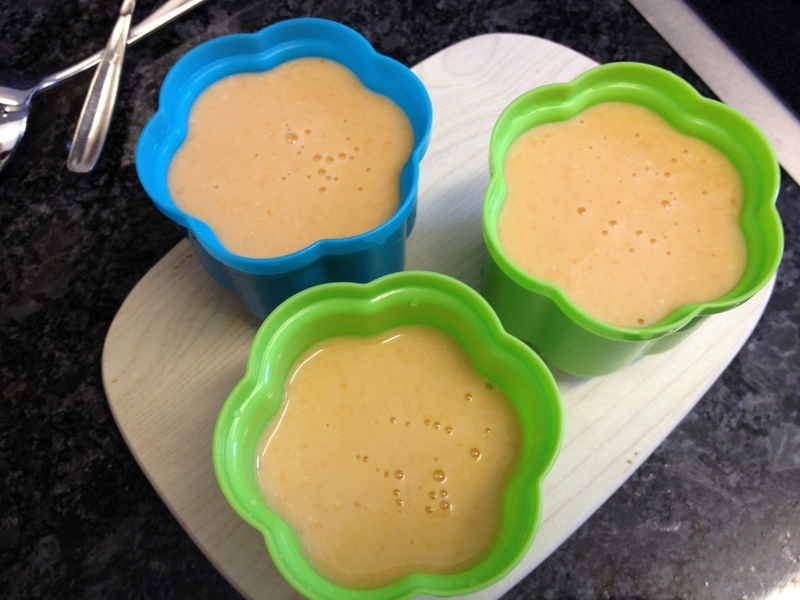 I bought new pudding moulds and filled them with the apricot bavarian.